“It is a versatile system to build tunnels featuring big sizes, quick installation, easy transportation and a minimum impact on the surface”. It is a system to build tunnels using corrugated steel plates designed to allow the assembly from the inside minimizing the impact on the surface. Tunnel Liner allows the quick, safe and low cost construction of culverts, ventilation tunnels, chimneys, mine entries and utilities conduits. 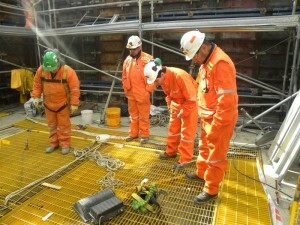 Tunnel Liner structures are bolt assembled and may be fitted for the project requirements.